Think about every ID card or employee badge you've ever had. What do they all have in common? OK, wise guy: yes, they all have text on them. And some kind of graphic. Very funny. If you're like most people, there will be another common thread connecting most of your ID badge experiences: all of your ID badges used plain white PVC card stock! 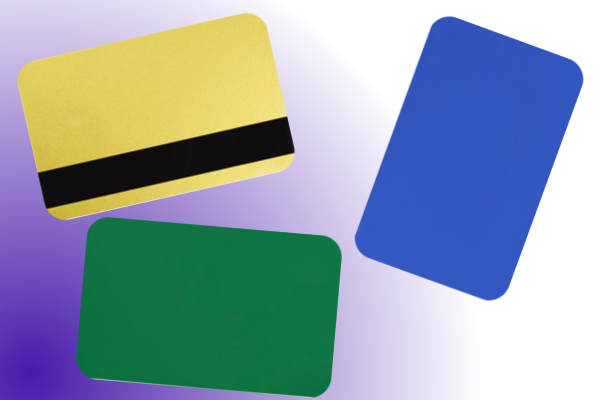 While most finished cards will have some kind of color photo or graphic, we're talking about the card itself here: white is the standard color for ID badges of all kinds, from basic student ID badges to corporate ID credentials. It's easy to see why: white is easy to print on, understated and plain. White is ol' reliable, producing the same steady-but-unremarkable results, time after time. However, if we're being honest, white PVC cards are also something else: a little...boring.